The St. Louis City neighborhood of Baden is located on the City's Northside, bounded by Calvary Avenue on the South, the Wabash-Norfolk-Western Railroad along Calvary Cemetery on the Southwest, Hall Street on the East and Riverview Blvd on the West and North. Although the district does not have a school within the neighborhood's boundaries, the St. Louis Public School District serves the Baden Neighborhood. The St. Louis Public Library system has the Baden Branch in the neighborhood located on Church Road. 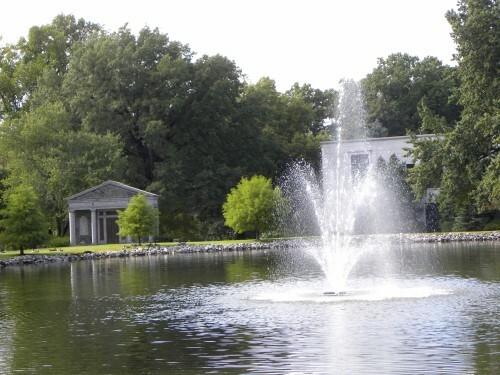 Hickey Park, a St. Louis City park, is located in the neighborhood. The park features such amenities as 16 acres of parkland, athletic fields for softball, baseball, football and soccer, basketball courts, 2 playgrounds, half mile walking trail and horseshoe pits. In the early 1800's, there were two main roads that ran through Baden. One on top of the bluffs, Bellefontaine Road, now called Broadway, lead to Fort Belle Fontaine, and a lower one along the river bottoms, Hall's Ferry Road, now called Hall Street. These roads served the farmers as they brought their produce to market from the northern farming communities in St. Louis County to the City of St. Louis. At the intersection of these two important roads, the community of Baden developed as trading center. The area developed further in the 1840's when a large number of Germans migrated to St. Louis. They settled in the Baden area which at first was called "Germantown". One story of how the area came by the name of Baden is that Frederick Kraft, who was born in Baden-Baden, Germany, submitted the name for the first post office in the area and it was officially adopted when Kraft became the postmaster. The church building of Our Lady of the Holy Cross Catholic Church, located in the Baden Neighborhood, was completed in 1909. It was originally the Holy Cross parish that was founded in 1863 which was established for the predominately German residents of the area. 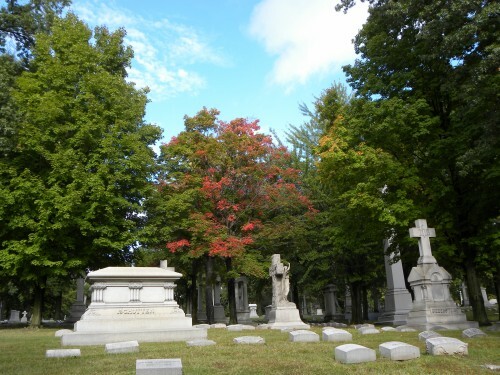 Calvary Cemetery lies along the southern edge of Baden and was established for Catholic parishioners. 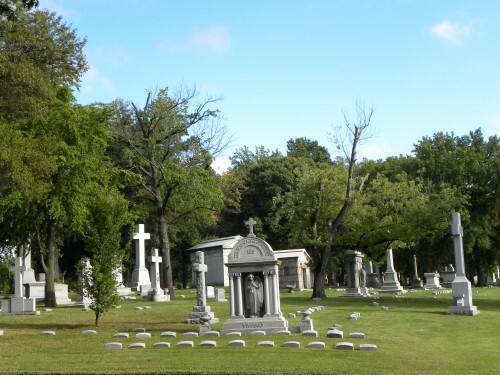 It was established in 1857 as a Roman Catholic cemetery to receive the remains of those who were buried at the cemetery located at the Old Cathedral in the city of St. Louis. It originally was a farm that was sold to Archbishop Kenrick who used the land to lay out the cemetery. Many notable people are buried there, such as several members of the Chouteau family, founders of St. Louis; Mickey Carroll, a Wizard of Oz munchkin; Dred Scott, a freed slave who was the subject of an important US Supreme Court case; Tennessee Williams, an American playwright, and William Tecumseh Sherman, a Civil War general for the Union.